As the name suggests, Soflens contact lenses provide outstanding levels of comfort from moment of application until removal. They’re manufactured by Bausch & Lomb, one of the leading names in contact lens technology. 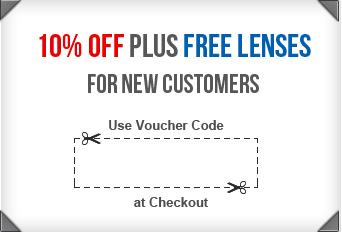 If you’re looking for a natural-feeling lens with a thin design that gives great value for money, Soflens is a great choice. The Soflens family covers a wide variety of vision needs and includes a range of natural-looking coloured contact lenses. There are lenses for long and short sighted wearers in their 20s and 30s, aspherics, torics and multifocals for those in need of seamless vision between objects located at all distances. Choose between daily disposables, monthlies, and extended wear contact lenses. Bausch & Lomb Soflens products achieve exceptional all-day comfort by using soft, permeable and wettable materials with a high water content. These are highly breathable lenses that guard against the damaging effects of oxygen deprivation. Eyes stay consistently comfortable, clear and hydrated because high levels of oxygen are able to permeate the lens. They can literally breathe easily. In addition, the polymer materials used to make Soflens contact lenses are particularly effective when it comes to resisting protein and deposit build-up, which means freedom from grittiness and protection from painful eye infections. It also means that objects stay clear and firmly in focus at all times as the lenses don’t dry out. Application is easier than usual. Soflens contact lenses feature a slight blue tint and an inside-out indicator, which means you’ll never experience the discomfort of apply a lens the wrong way round.